This game should be retitled "The Lost Guardian" due to its inability to seen anywhere despite Sony's repeated assurances that is still on the way. "When we are ready. I cannot confirm any timing because we are waiting for it to be in a state where we are happy that this is the game. We have a certain time frame in our mind, and the team is making great progress, but still not to the point that we can say that, here you go." A mere 5 years after being first announced at the 2009 E3, it has been in a perpetual state of delay. I don't mind because if Sony has enough faith in Team Ico's game, it must be something amazing. A part of me hopes they'll incorporate some elements like Journey's multiplayer, or that the world of The Last Guardian will make Shadow of the Colossus' map look like a single room. In a long shot- if they ported this to the PS Vita, sales would skyrocket for the portable wonder. Why all these setbacks? Yoshida commented on that as well. "The technical issues on PS3 and the way it was engineered didn't work. It worked to some extent, that's why we had a date in mind." "That was a mistake," Yoshida admitted, "but at one time it was looking possible. It has been totally re-engineered. They're still working on it. I've been seeing the progress." The reason behind all the postponements does make sense as it sounds like they completely rebuilt the game. 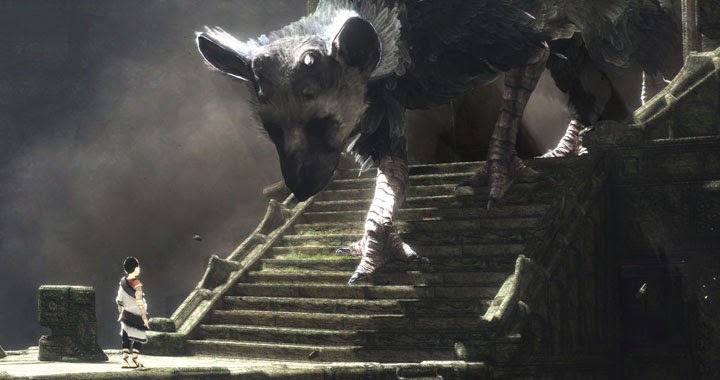 While infuriating to have to wait, the next time we see The Last Guardian it may be a whole different game- better graphics, better system, and much more than we originally thought we were going to get. But can that compete with our expectations? We shall see.